Home / News, Other Political News, Politics / Sky News labels UHURU KENYATTA the President of Africa! Was it a legitimate error or do some journalists believe Africa is a country? 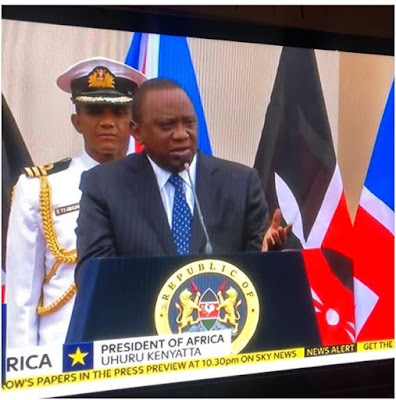 Sky News labels UHURU KENYATTA the President of Africa! Was it a legitimate error or do some journalists believe Africa is a country? Saturday September 1, 2018 - One of Britain’s biggest broadcasters, Sky News, labeled President Uhuru Kenyatta on Thursday as the President of Africa. 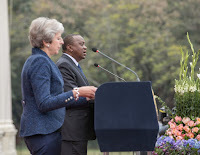 The incident happened when Uhuru was addressing a joint Press Conference with visiting United Kingdom Prime Minister, Theresa May. During the State House briefing, Uhuru and May inked a deal that will see corruption proceeds, including Sh470 million seized by UK courts, returned. The Prime Minister also assured Kenyans that her country is supporting the ongoing purge against corruption. “And I welcome the commitment you have made to drive this vice from your country, and we stand with you in this fight,” May said. 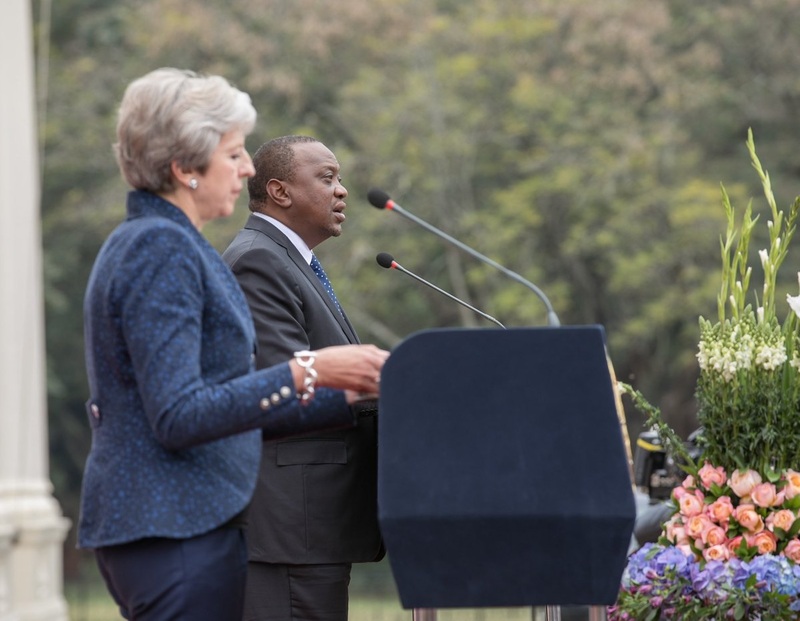 “And today, as you’ve said, we signed an agreement to ensure that any proceeds of corruption in Kenya that end up in the UK will be given back to the Kenyan people and spent for their benefit,” May added.